The South African Savings Institute (SASI) challenged employers to assist cash-strapped employees to save money as it launched Savings Month, which runs throughout July. According to the organisation, the country's savings rate is in dire straits, as more consumers are feeling the effects of the poor economic climate. "Employers can actively facilitate or automate the savings process for those with an income, such as garnishee options where money goes into tax-free savings accounts, and structuring 13th cheques as a savings tool," said SASI CEO Gerald Mwandiambira. The VAT increase in April, from 14% to 15%, has added to the financial stress being experienced by consumers, including the price of fuel, which has been increasing every month since April. "As South Africans struggle under increasing financial pressure, a savings buffer becomes even more important, yet there is less focus on savings, and people are increasingly using credit to fund even their basis needs," he added. July is known as Savings Month, aimed at promoting a culture of financial wellness, which SASI says should be adopted from an early age. The organisation said it would use the next four weeks to drive campaigns in various communities and tertiary institutions, with a focus on encouraging companies to play a part in ensuring the financial health of their employees. Mwandiambira described the poor savings habit in South Africa as a "systematic developmental issue". The SA Reserve Bank in December 2017 revealed that household savings to disposable income was at 0.2% per month, while debt to household income sat at 72.5%. 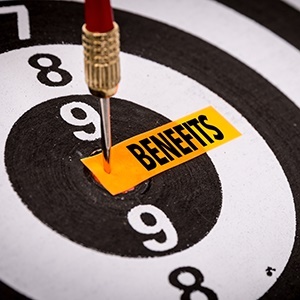 Thami Cele, head of savings and investments at ABSA Retail and Business Banking, said companies stood to benefit from having a financially stable workforce, as employees tend to be happier and more productive. "We know that savers with a savings buffer of up to three months' income enjoy improved emotional well-being, greater resilience to external shocks and an increase in productivity," he said. ABSA will in August unveil a study about the relationship between savings and happiness. There are many risks that need to be overcome to ensure that retirement savings last, says Allan Gray’s Shaun Duddy, including longevity, inflation and investment risk. Have you considered your options for retirement?